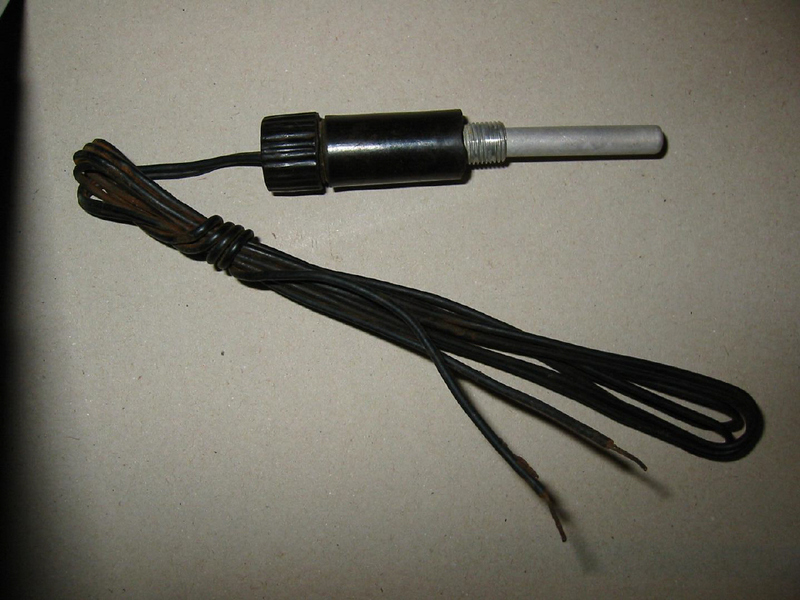 This consists of a cap, with twin leads of copper or iron, and a wire bridge.The whole fits into a standard bakelite cap holder. The copper leads have a resistance of 2 Ohms; iron, 3 Ohms. Below: Brass practice version marked "Üb" ,with inert dummy detonator tube.